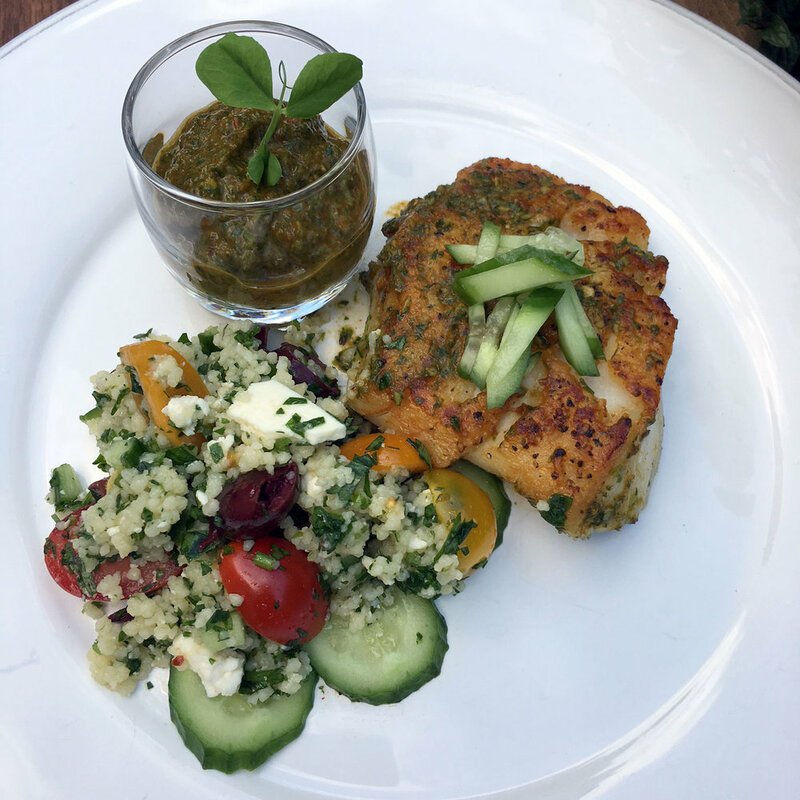 Pan-Seared Cod with Moroccan Chermoula and Tabouli-Style Couscous — The Local Catch, Inc. - The Best Rhode Island Seafood! Portion cod and season with salt and pepper. Heat a large sauté pan, add ghee and sear fish over high heat, on one side only, until nicely browned. Remove from heat and rub cod with chermoula. Wipe excess ghee from pan and return fish to pan, seared side up. Bake in a 350-degree oven until cooked through, approx. 8 minutes. Serve with remaining chermoula on the side. Bring stock to a boil with a pinch of salt. Remove from heat and stir in couscous. Cover with a lid and allow to steam for 5 minutes. Toss couscous in a large bowl with remaining ingredients. Enjoy!